This article is taken from the AUB’s website. Myers, a playwright and writer who teaches English and creative writing at AUB, will share the grant with Nada Saab, assistant professor of comparative literature at Lebanese American University (LAU), their respective institutions, and Silk Road Rising Theater in Chicago. 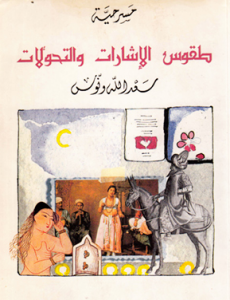 The award will fund the translation to English and production of Tuqus al-isharat wa al-tahawwulat (Rituals of Signs and Transformations), which deals with female sexuality, religious corruption, homosexuality, the abuse of domestic servants, Sufism, honor killing, Arabic storytelling traditions, personal transformation and changing gender roles in the Arab world. 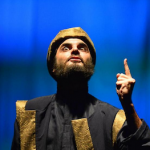 The play, which has been compared to Shakespeare’s “Measure for Measure,” was written in 1994 and first produced in Arabic in Beirut two years later under the direction of Nidal Al-Ashkar. It was Wannous’s last major work after he was diagnosed with terminal cancer, which led to his death in 1997. That version, which was in the original Arabic, has been broadcast on television in Lebanon. A French version, directed by Sulayman Al Bassam, will premiere at the Comédie Française, in the spring of 2013. 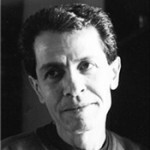 Professors Myers and Saab have previously collaborated on several projects, including the translation/adaptation of Al Diktator [The Dictator], by the Lebanese playwright Issam Mahfouz, and Hammam Baghdadi [Baghdadi Bath], by the Iraqi playwright Jawad Al Assadi, which was produced at La Mama Theatre in New York in 2009 and which received an excellent review in The New York Times. Together they will translate and adapt Wannous’s play for the stage. They have just completed an article on the play for a special issue of the journal Theatre Research International, published by Cambridge University Press, on contemporary Arab theater and the so-called Arab spring, which will be released in 2013. Rituals of Signs and Transformations is also slated for public presentation in Beirut and Chicago in 2013 and will be directed by Jamil Khoury, artistic director of Silk Road Rising. The staged reading in Beirut will include the participation of actors, students and theatre artists from AUB, LAU and the Beirut theatrical community. This project has received enthusiastic support from Malik Gillani, executive director of Silk Road Rising; AUB Provost Ahmad Dallal; Patrick McGreevy, dean of the Faculty of Arts and Sciences at AUB; Elise Salem, vice-president for student development and enrollment management at LAU; Vahid Behmardi, chair of the Department of Humanities at LAU; Phillipe Frossard, dean of the Faculty of Arts and Sciences at LAU; and many others at all three institutions.